Couples Dance Lesson with ABC! But there isn’t any one definition of ‘fun’ or ‘romance’ and every individual couple may enjoy a different ballroom form depending on what works for them. Ballroom dancing essentially involves partner work. 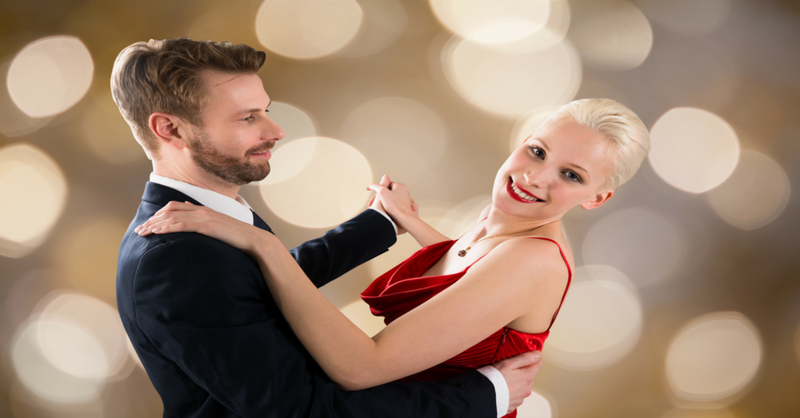 Therefore most couples end up connecting and having a good time doing all kinds of ballroom dance styles. Some of the most popular ones include: Waltz, Foxtrot, Swing and the Cha Cha! We will be holding our first ever Couples Only dance class on Wednesday, February 7th at 7:30 pm. We are located in Tempe at 1805 East Baseline Rd, Suite 103. Tempe, AZ 85283. It is a 45 minute dance class and we will be introducing the 4 elements that create all of our dances. After you learn the elements, we will put them together to create the Foxtrot, the Waltz, and the Merengue! You do not want to miss this class! This class is normally $18, but sign up today and get your first class for only $10!